Simon & Schuster Books for Young Readers, 9781442498778, 320pp. 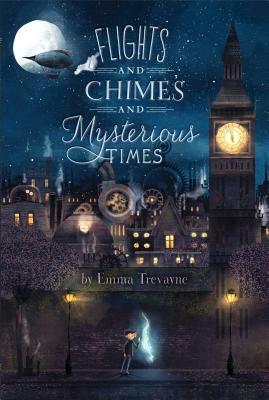 Emma Trevayne is a full-time writer. She is an avid music collector, a lover of computer code languages, and a photographer. She is the author of Coda, Chorus, Flights and Chimes and Mysterious Times, and Spindrift and the Orchid. She has lived in Canada, England, and America. "Once action passes through to Londinium the pace picks up and the steampunk narrative starts to hum. Jack's mechanical ability is put to good use, but it is the power of loyalty and friendship that gives the story its strength and drives it to a rousing conclusion."